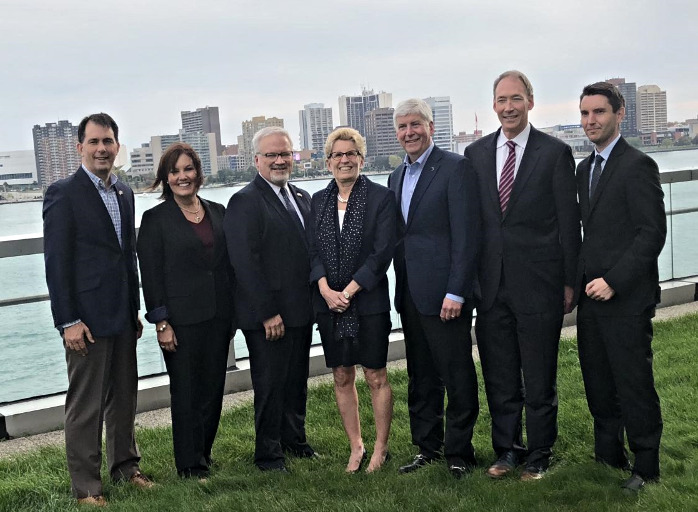 Representatives from the 8 Great Lake states, Québec and Ontario discussed issues related to the sustainable management of the Great Lakes and St. Lawurence River (containing 18% of the world's freshwater resources). Commission members discussed and agreed on ballast water and contaminants of emerging concern, giving a unique and common voice of the region to the Great Lakes Commission. The Délégué was able to meet with legislators from the Midwest region to discuss cross-border support for continued U.S. funding of initiatives to protect the Great Lakes.